Snowbirds-The Top Ten Reasons Eufaula Alabama may be the right Winter Desination for you. Having lived in areas of the country where temperatures below zero can last a month or more and 32 degrees feels warm, I can certainly relate to the desire to head south for the winter. Here in Alabama we put up with the dog days of summer knowing that we do not have to face snow shoveling, snow blowing or snowy roads. As much as I miss the morning after a fresh snowfall or building an occasional snow man, the trade off really seems worth it. That’s not to say winters down south do not a have a few cold, unpleasant or stormy days. It’s saying that compared to winter at its worse, a low of 36 is not all that bad. Telling people up north that they can come stay here in Eufaula this winter has not been an easy task. As I search the web I find very few websites or articles that seem to be of any real help. Not everyone has a $250,000 RV pulling a Range Rover planning to spend the winter months at an RV resort. If that is your situation there are plenty of sites to help you find your perfect location. You would think that with more than 1,000,000 people traveling south there should be a few more resources for average folks of average income who would like to come south. Maybe I am just not using the right key words – all the buzz when doing an internet search. Snowbird is descriptive but not all that flattering. Winter destinations gets me to ski resorts and somewhere in the Bahamas. Come to Eufaula might have folks headed to Oklahoma. Perhaps I should just start by telling folks why Eufaula, Alabama is a great destination for your winter stay. Remember when you started to look at colleges or figure out where to look for your first real job? Some people are obviously drawn to the big name school or the big city while others like the idea of more personalized attention. Eufaula is that kind of place. It’s a charming and friendly small southern town. The articles I read online said that July is probably a bit late in finding your ideal winter location. Not here – there are currently plenty of good options depending on your needs. It’s also true people go to the same location year after year and that is why some places, even in Eufaula, are booked way ahead of time. People come to the same place because they like the people at the location. It’s also possible that finding another location means dealing with lots of unknowns. It’s just too stressful to change. Cost is a real consideration for many people in retirement. Eufaula is a good option if you are on a limited budget. No town or location is going to meet everyone’s needs. One thing we have learned from owning a campground is that many people are wanting or expecting certain locations to have everything on their wish list at an affordable price. This makes it harder for the people looking for what you have to offer to find you and the people not looking for you to realize this quickly and move on to another search. If you are looking for these 10 things when considering a winter location, perhaps Eufaula is the right place for you. 1. It’s close but not too close to the beach. If you are tired of looking at beach property where only the ocean and the price tags are large, Eufaula is likely a good location to consider. 2.5 hours from the beach, you can take a trip south and leave the sand, the traffic and the higher prices for those staying full time. 2. You enjoy the outdoors- The majority of our accommodations have a nice outdoor view and easy access to local outdoor activities. Fishing, golfing and photography are great options when spending time in Eufaula. 3. You enjoy casual entertainment. This is not to say there is not a reason to put on your Sunday best when in Eufaula, it is more to say that everything is not such a big production. If you don’t find exploring the local library interesting or would not enjoy a quite walk on the hiking trail this may not be the best location for your winter stay. Small towns have regional resources. Like the beach, Atlanta is an easy day trip. 4. You want places to meet new people- Eufaula has so many options – whether you are exercising at the recreation center, going on a day trip for seniors or volunteering at a community event – there are many great places to explore and meet new people . The local newcomers club has annual dues of 10 dollars a year. Monthly you visit an interesting location around town. 5. You are looking for a stress free winter stay- It’s quiet and peaceful here but I know if I need services I can readily find them close by. Healthcare is good and well connected to bigger centers. We shopped car repair at larger city location only to find a better and more convenient deal locally. Traffic is not a hassle and you have enough but not too many options for getting needs met. 6. You enjoy good food- I love eating out in Eufaula. Prices are affordable and there are lots of interesting options to choose from. My favorites are Mexican, Chinese, southern home cooking and barbeque. The only real chains serve fast food. 7. Faith is important to you – Eufaula has many historic local churches serving our community, active in world mission and open to winter residents. 8. You have limited time to spend south – Eufaula offers a flexible alternative to places that need booked months in advance with significant consequences to early departure. Whether you stay one month or five there are places here to meet your needs. 9. You are creative- Too often a destination is all about the money you spend once you get there. In Eufaula you can write, read, paint or do woodworking. The local “Eufaula Arts Scene” will help you connect with other creative people in the area. 10. You are on the way to someplace else. Consider spending two days in Eufaula on your trip south or north. Tour historic homes, drive through the wildlife refuge, eat a great meal in town . Come back and see us and bring your friends. Eufaula is happy that you came by. 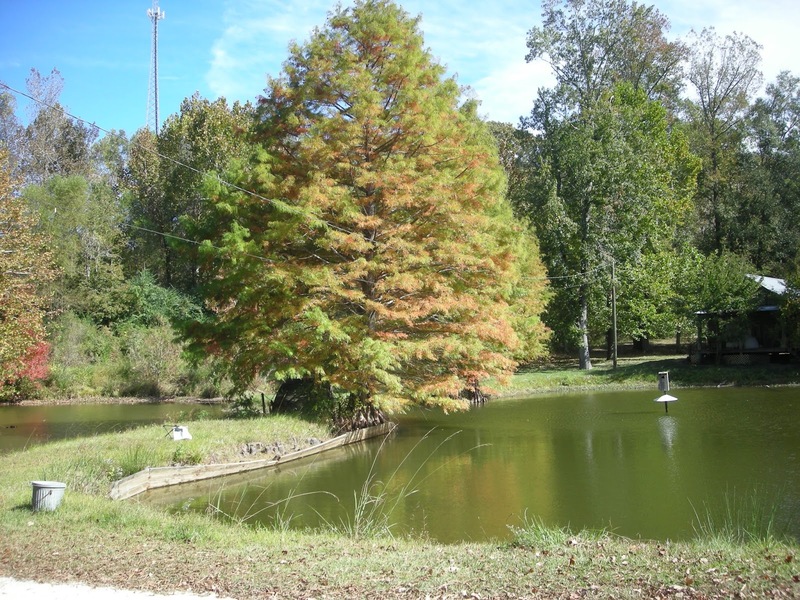 Lake Eufaula Campground has 30 amp and 50 amp winter ( larger than average ) RV sites as well as winter cabin rental. If our accommodations do not meet you needs we can provide you with contact information for other lodging options in the area. The campground is the closest lodging location to both golf courses, the community recreation center, the senior center, local restaurants and shopping. Email us to request your free Winter Residents Guide. Eufaula welcomes approximately 200 winter guests to our community each year. For more information on winter stays in Eufaula contact us at 334-687-4425.